The continuous increase in the amount of state debt of Armenia each month has become a matter of deep concern of the South Caucasus country’s expert community. The country's state amounted to $6.5 billion in the first half of 2018. Armenian economist Vahagn Khachatryan has recently sounded the alarm, reminding that in 2008 the state debt was only $1.5 billion. “Over the past 10 years, the former authorities have squandered the loans taken,” he noted, saying that the money was spent for other purposes or simply stolen. Armenian experts are concerned that the ratio of the state debt to GDP has reached 55.8 percent, and is expected to reach $7 billion by the end of 2018, or about 60 percent of GDP. 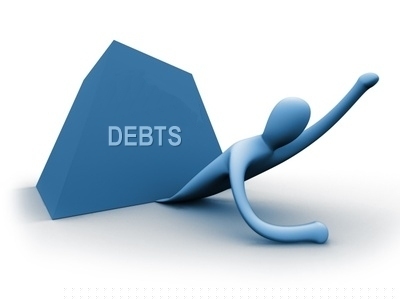 The authorities continue attempts to assure the society that the debt is manageable and there is no danger, but the fact is that 60 percent of GDP is too much for such a poor small country as Armenia. The new government blames the former authorities in this situation. However, it is obvious that the new leader of Armenia Nikol Pashinyan is already leading the country in the same destructive direction. Despite the loud promises to remain loyal to Moscow, he has already seriously angered the leadership of Russia – the country that provides Armenia with multimillion-dollar loans every year. Pashinyan’s praises of the EU and NATO and provocative rhetoric on the Nagorno-Karabakh conflict were the main reasons for the anger of Russia. Thus, Armenia may soon be left without its main partner, and thereby the country will be deprived of large loans that are vital for Pashinyan in order to implement major changes in the country. Meanwhile, the new government, just like the previous one, excitedly rants about the “expected large-scale investments” and the “transformation of Armenia into a tourist paradise.” Experts, in turn, prefer to speak the truth about Armenia’s future prospects – there will be no new loans, and the growing state debt, internal instability and the Nagorno-Karabakh conflict, will continue to scare off the foreign investors. It is noteworthy that the problems of Armenia in relations with neighbors greatly affect the social and economic situation in the country. Because of these problems, Armenia has long turned into the black sheep of the region and misses the opportunity of participation in different regional projects. The main of the obstacles that prevent the recovery of the Armenian economy, is obviously Yerevan's destructive position in solution of Nagorno-Karabakh conflict and illegal occupation of 20 percent of Azerbaijani territory. Following the occupation, Azerbaijan and Turkey closed borders with Armenia, and as a result, today the aggressor country can neither develop nor implement economic initiatives properly.